Friends who had visited Myanmar before us had completely skipped Mandalay, but we wanted to take our time exploring as much of the country as we could, so we (somewhat hesitantly) added a few nights in Mandalay, Burma’s second largest city, to our itinerary. 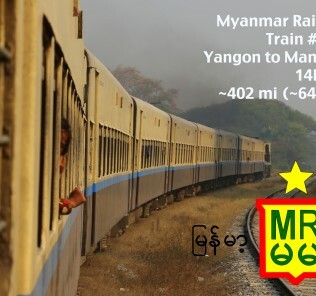 It’s only about 445 miles north of Yangon (but, in case you’re wondering, if you’re going roughly 25 mph on a train, that’ll take you about 16+ hours). 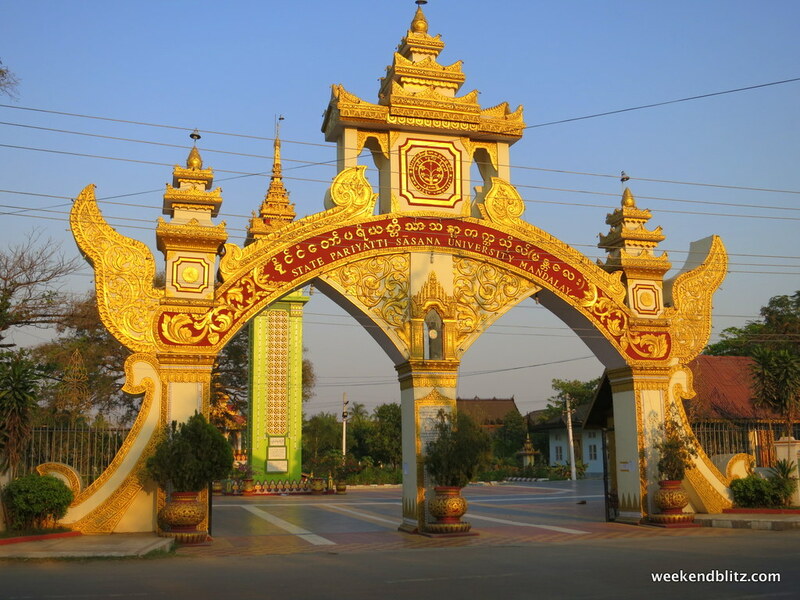 When we arrived on the overnight train around 9am, completely and utterly exhausted, we found scores of people at the train station, all hounding us to hire them to carry our bags, give us a ride – you name it, they’d do it. 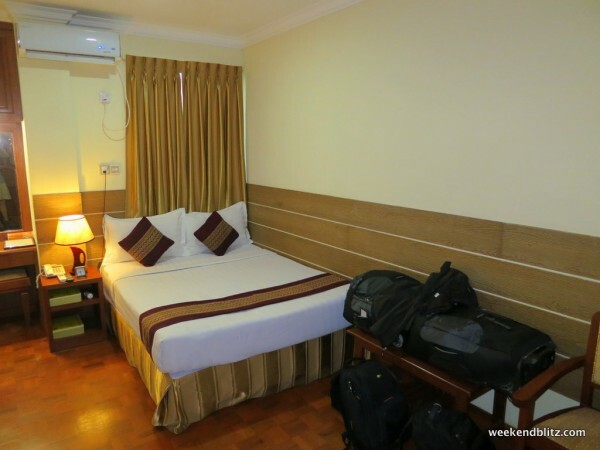 Our hotel was just a five-minute walk away, but it seemed like an eternity as we painstakingly got our bearings and did our best to avoid the very pushy peddlers at the train station. 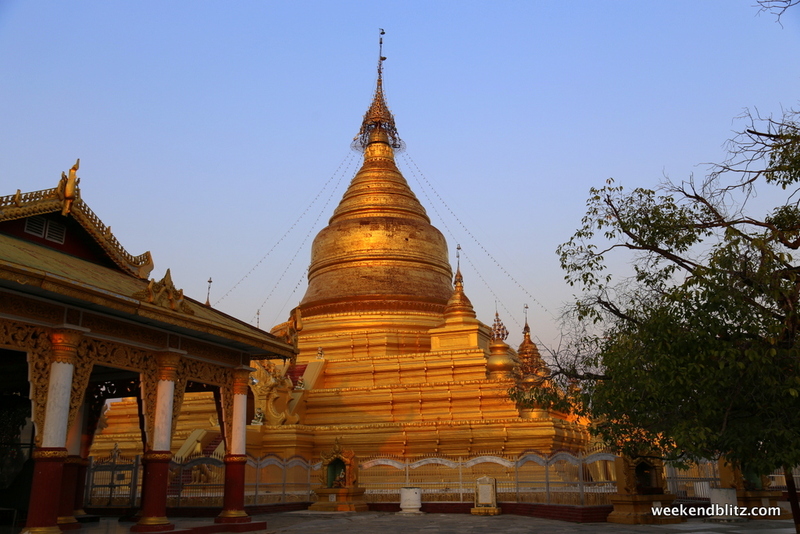 It was actually a bit of a shock to us since we’d just discussed how we’d found Yangon to be decidedly un-pushy, so we were caught off guard by the insistence and assertiveness of the people in Mandalay (at least at the train station). 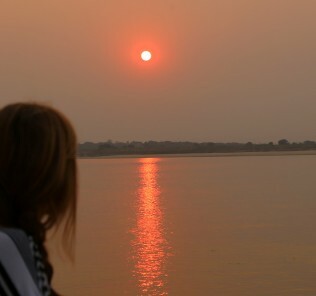 Despite our very first impression, we both came to adore Mandalay, its people and its history. 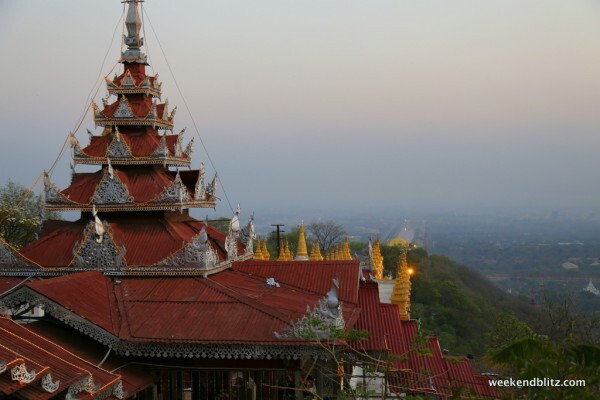 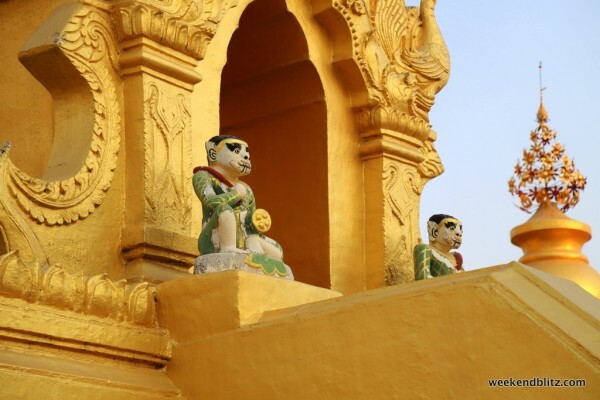 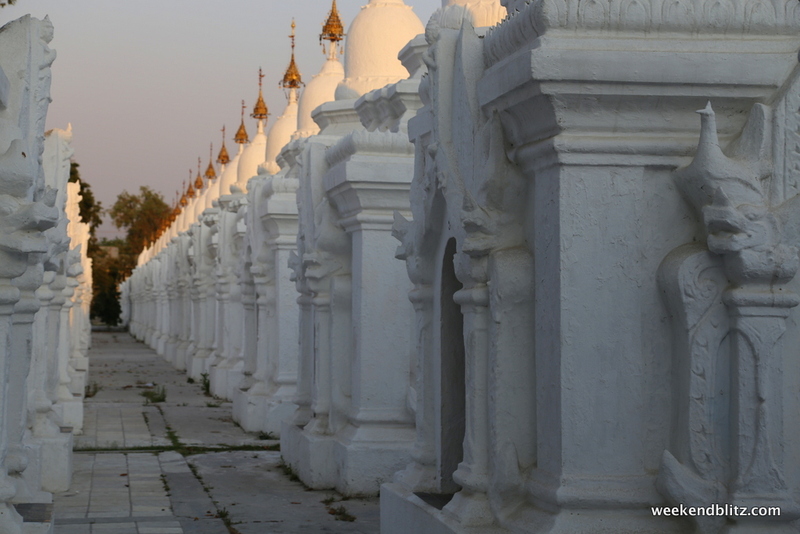 Mandalay, now a city of about 1.5 million, is the second largest city in Myanmar (behind Yangon) but is seen by tourists as skip-able – or, at the very most – an easy jumping off point for more “beautiful” scenery. 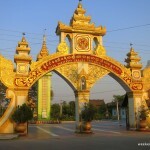 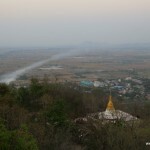 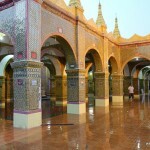 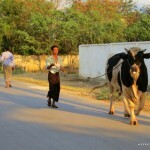 However, it was last the royal capital of Myanmar and has a history in its dirt roads that many miss. 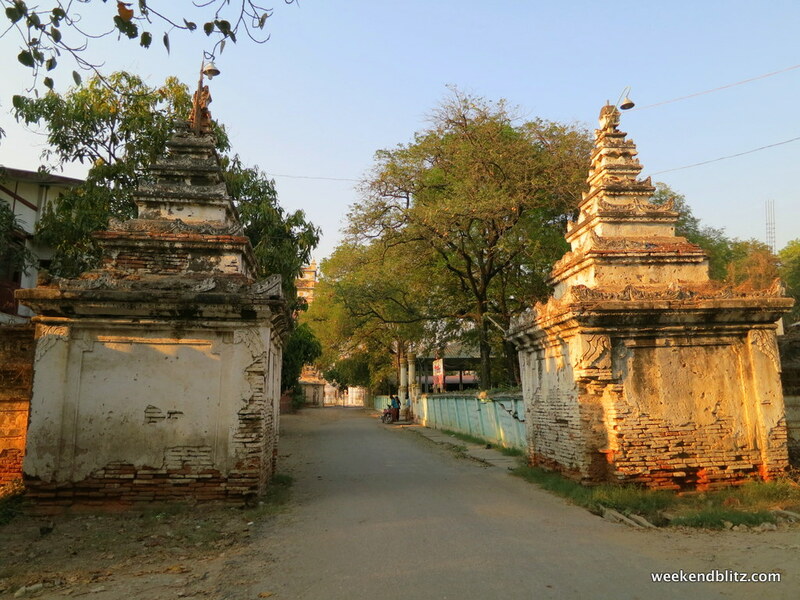 The city was founded around 1857 by King Mindon, who made the new royal capital at the foot of Mandalay Hill, quite literally moving the capital from nearby Amarapura — using elephants to move the royal palace, what a Burmese thing to do. 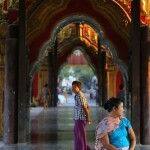 Mandalay served as the last royal Burmese capital for 26 years before losing independence to the British in 1885. 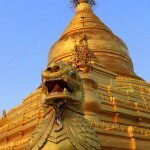 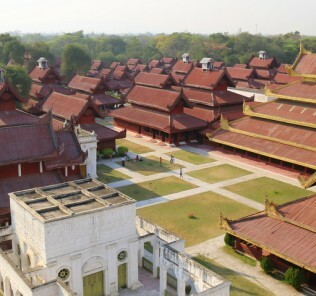 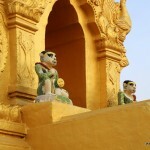 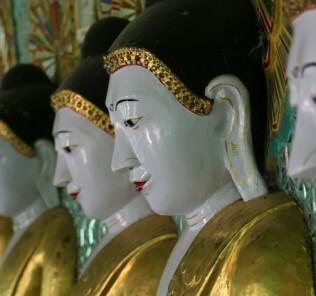 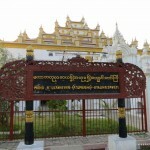 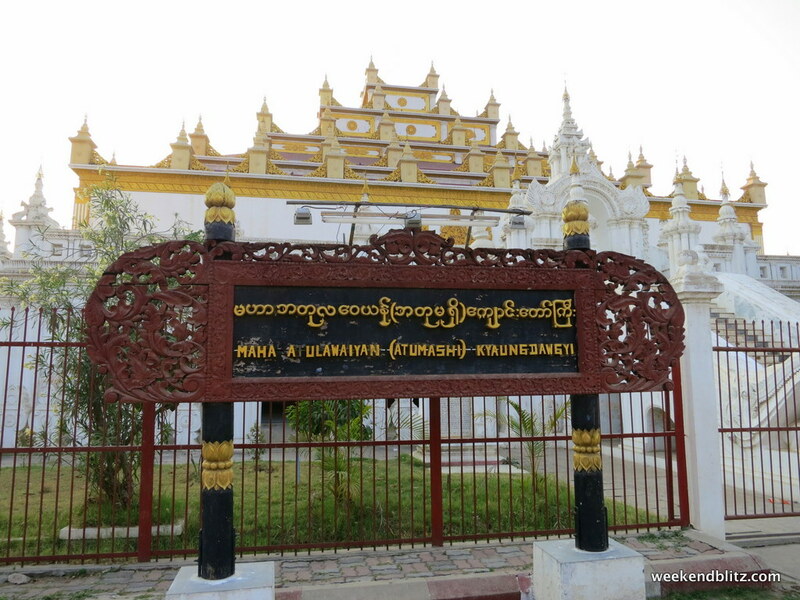 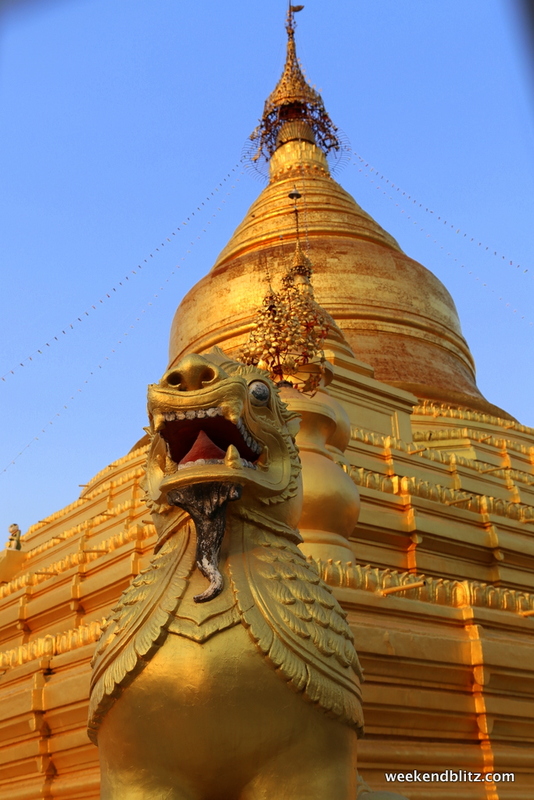 Despite falling to the British, the city continued to be the hub of Burmese culture and education, even today being considered the capital of Burmese culture. 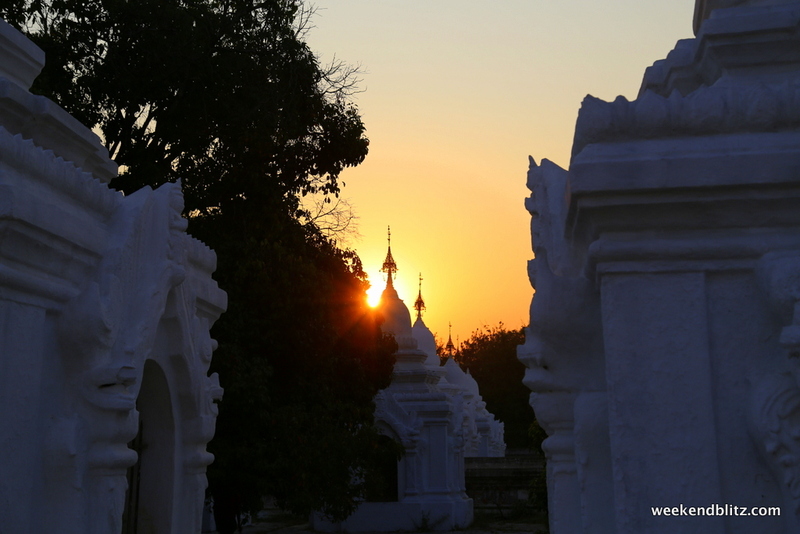 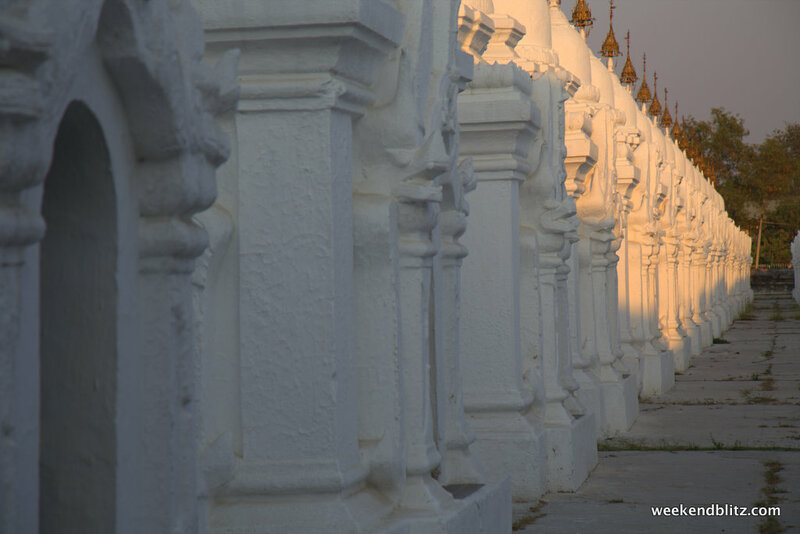 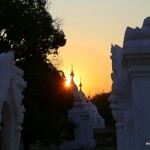 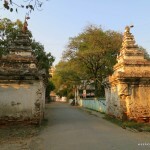 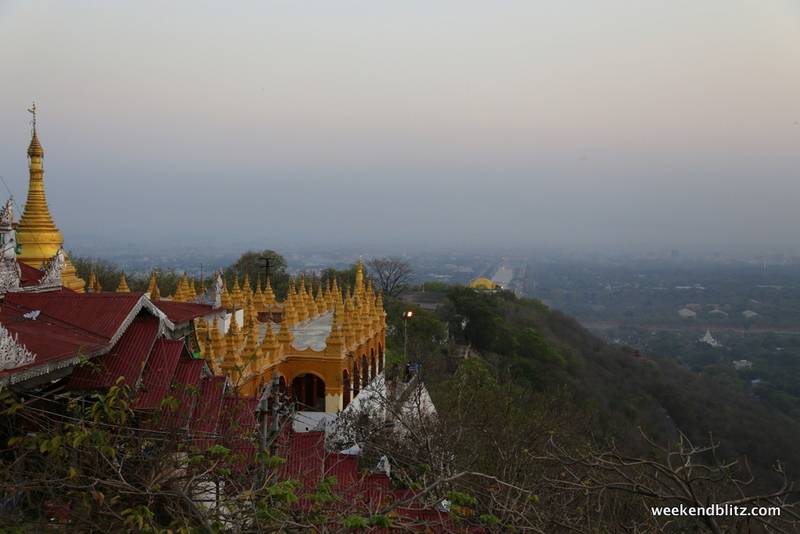 We spent our first day exploring the city, including the inner, walled and moated city of a monastery and the pagoda on Mandalay Hill (a friendly local and his 7-year-old son insisted we climb in the backseat of his car and he drove us to the top of the hill in time to catch the sunset when we couldn’t find a taxi). 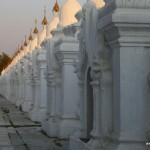 Apart from our experience at the train station when we first arrived, we found the people of Mandalay to be exceptionally friendly (a trait becoming quite familiar in Myanmar), hardworking and extremely religious, with the countless Buddhist pagodas we visited always filled with pious worshippers. 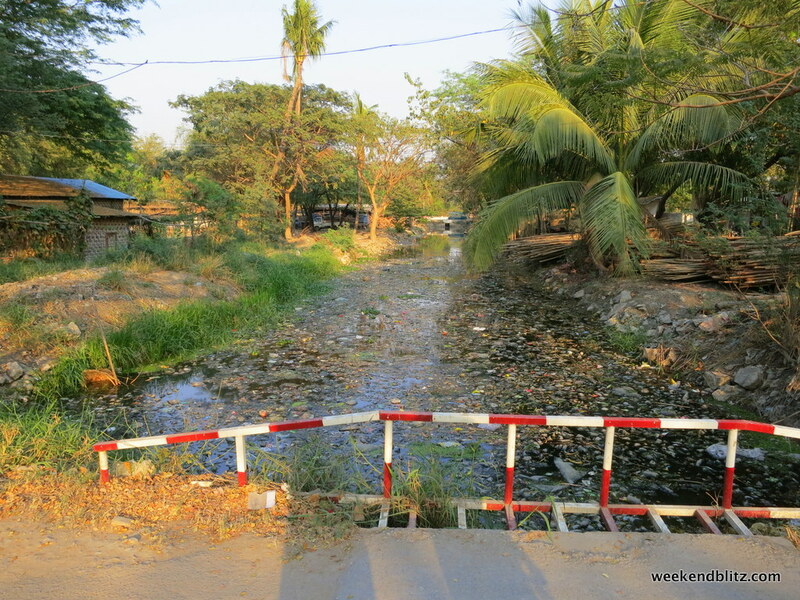 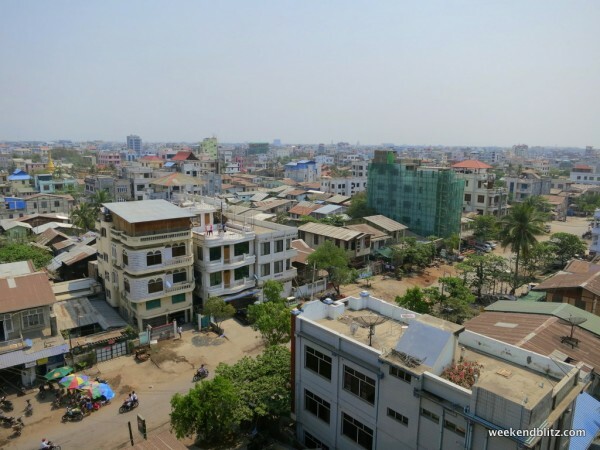 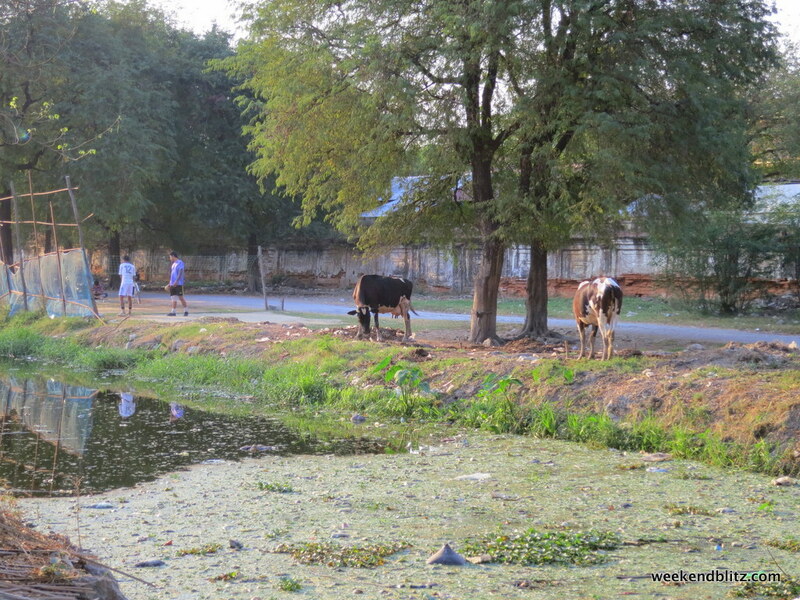 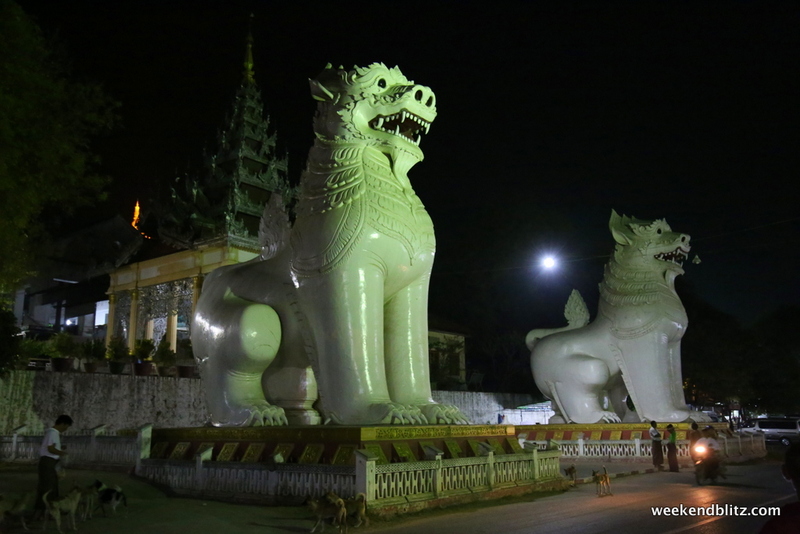 Like smaller cities generally do, Mandalay offered a better view of normal life than we gathered in Yangon, perhaps simply because, in Yangon, our heads were spinning just from stepping outside of our hotel room with the many people, cars and stray dogs that were hurrying on past. 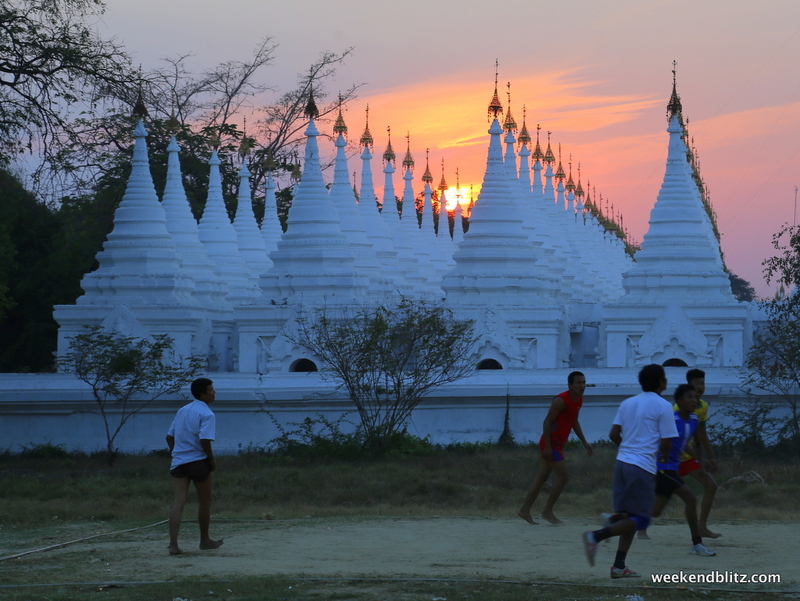 In Mandalay, you could witness young boys playing soccer on the road’s dirt shoulder or catch a glimpse of a teenage couple zooming by on a motorbike – and you could do it with a (slightly) lesser chance of getting run over by another speeding motorbike. 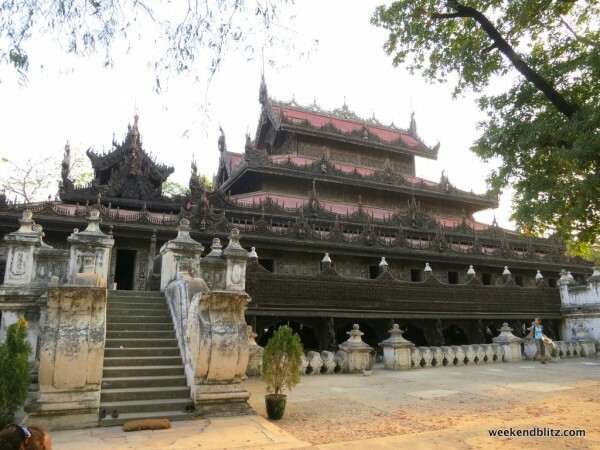 Take a look at the guide below for where to eat, drink and sleep while in Mandalay, then be on the lookout for more detailed posts about the city’s surrounding area and its most popular attractions: Mandalay Palace and a tour of three former royal capitals. 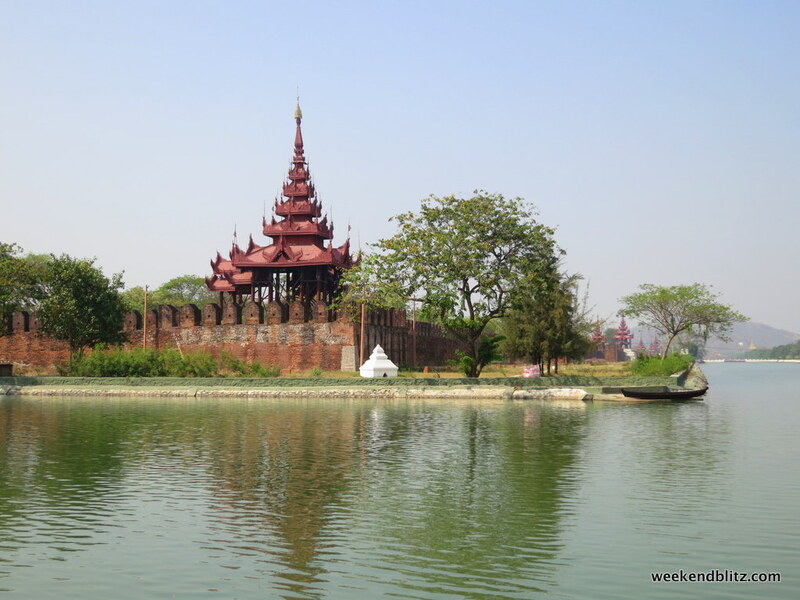 Although we found the prices to be a few dollars higher than in Yangon, the restaurants in Mandalay were nonetheless much cheaper than in other worldwide tourist destinations. 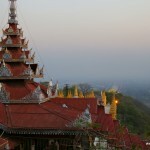 Our favorite meal to date in Myanmar was at Super 81 (No. 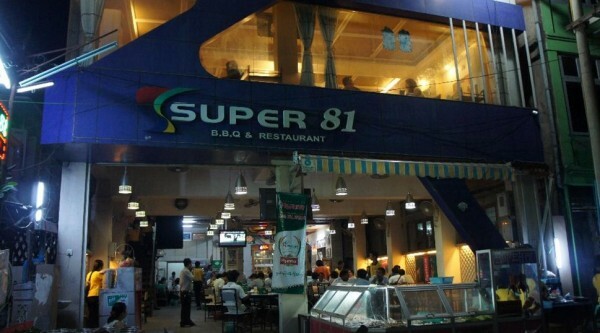 582 81st Street, between 38th + 39th Streets), a two-story restaurant very near the ever-popular Moustache Brothers show. 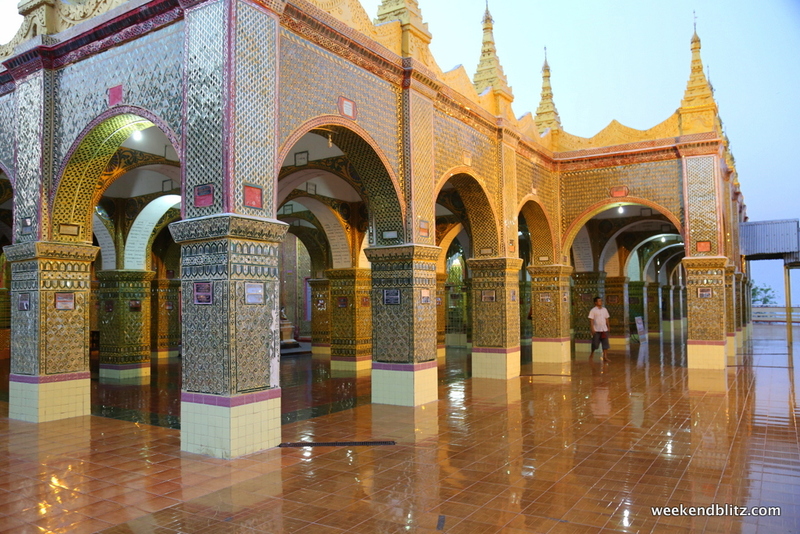 A favorite of tourists, we noticed many groups of Burmese in the restaurant, too, and, whether it’s a tourist trap or not, who cares as long as the food is delicious and the prices are (somewhat) low!? 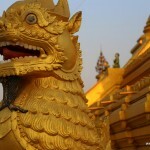 I tried the spicy coconut curry with chicken for 6,000 kyat (about $6) and Jeffrey ordered the Kechin Clay Pot with chicken (6,000 kyat). 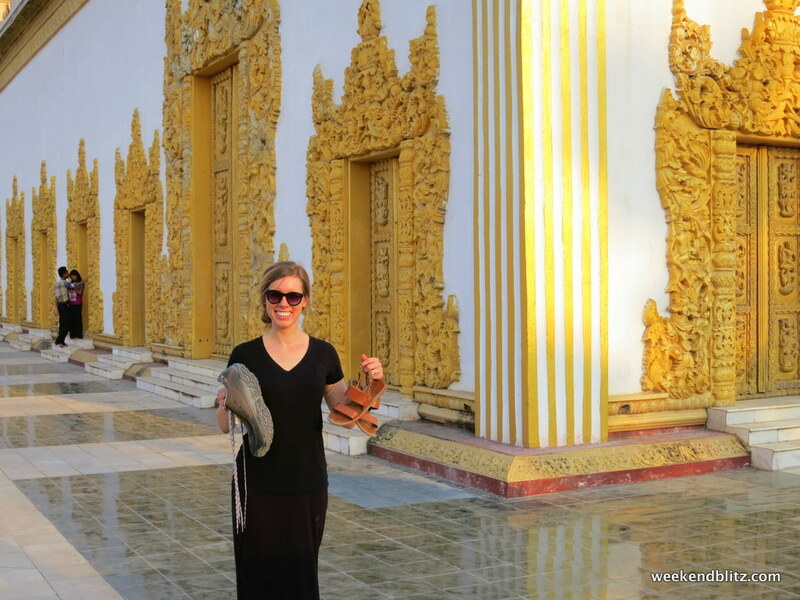 While the coconut curry was delicious, Jeffrey’s Kechin dish is probably the best thing we’ve tasted in months – it comes in a clay pot and is more of a soup than a stew and wasn’t heavy, rather light and very flavorful. It has fresh herbs and tasty lemongrass – it’s very spicy but so mouthwateringly good that we couldn’t stop eating it and wanted to go back the next night to order it again. 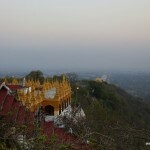 Super 81–ahhh, I want to go back! 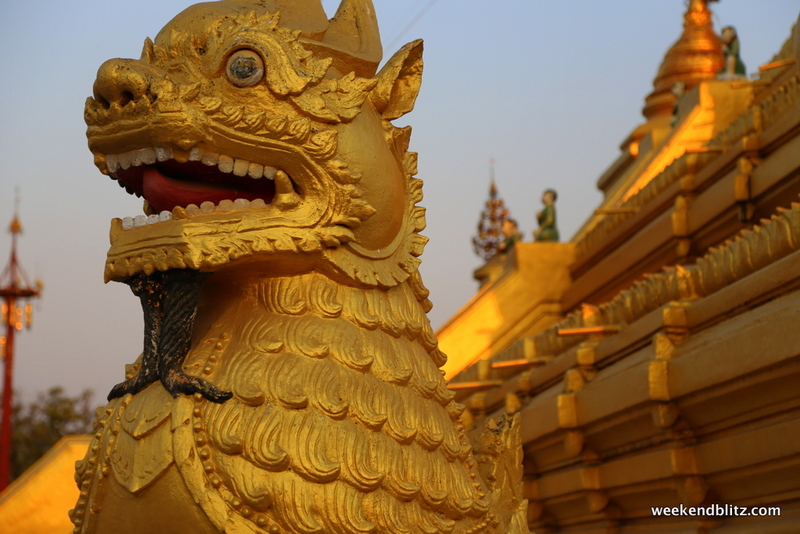 You can find the ubiquitous Myanmar Beer just about anywhere, but we’d suggest ending your day with the cold, refreshing beer as you watch the sun go down on the world’s longest teak bridge. 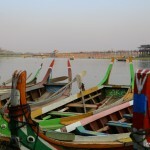 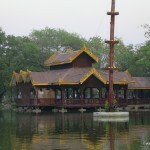 U Bein Bridge, about 15 minutes south of Mandalay, is one of the top tourist destinations in Myanmar. The old, wooden bridge spans across the Taungthaman Lake near Amarapura and is especially charming at sunset. 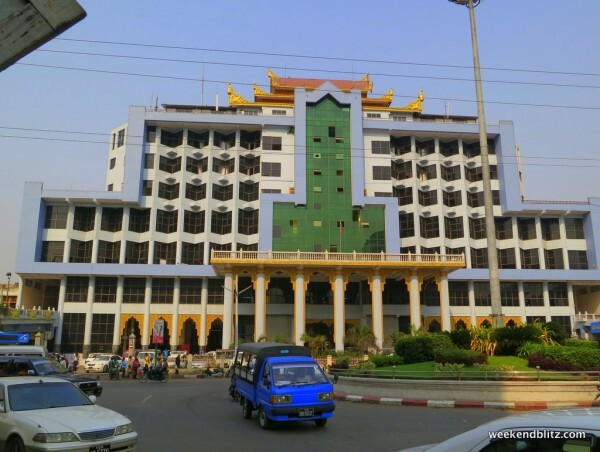 Many vendors have set up at the bridge’s entrance, but, if you’re still in the market for souvenirs (or even a popsicle), you’re in luck. 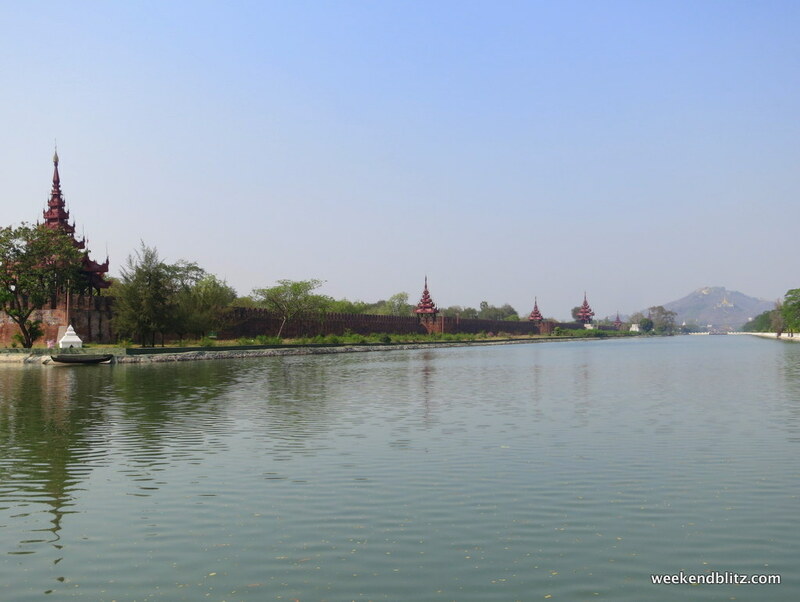 You can rent a boat for 10,000 kyat and sail under the bridge, but if you’re going to Inle Lake, I’d suggest just staying on land for this excursion. 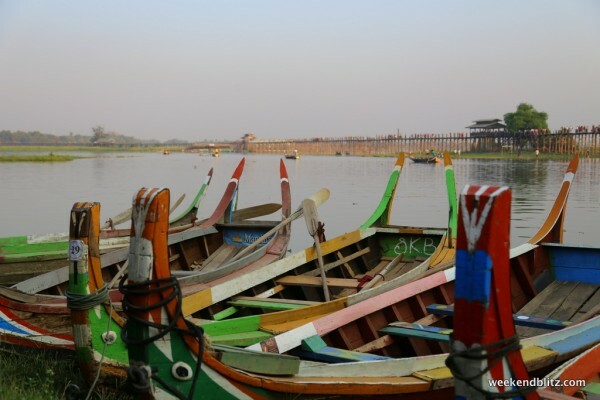 The restaurants don’t have names, but there’s one that sticks out into the lake with the best views of the bridge and the brilliantly colored boats, so how about taking in the Burmese sunset here with a Myanmar Beer in hand as the temperature cools (to a cool 89 degrees)? 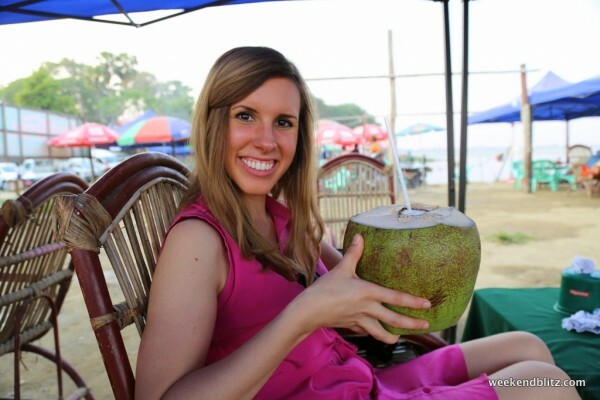 Enjoying a refreshing (& HUGE!) coconut juice with a beautiful view of U Bein Bridge! 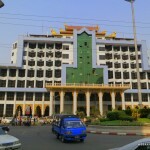 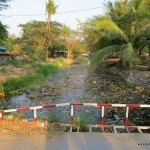 Our hotel, Hotel Yadanarbon (No. 125, 31st Street, between 76th + 77th Streets) was a good bit bigger than our hotel in Yangon but seemed to share many traits, including toiletry brands and breakfast options. 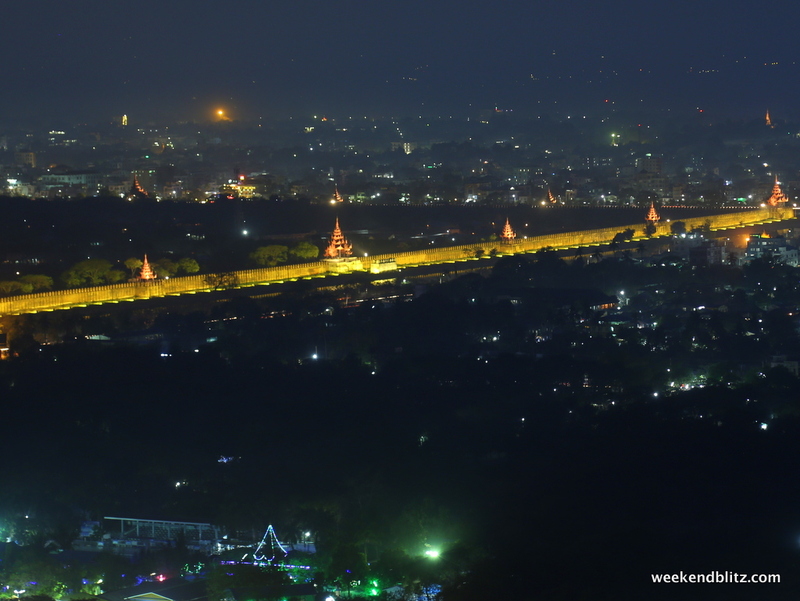 It boasted another rooftop restaurant, and, although it served mostly Western foods, it was a welcome retreat to enjoy a cold juice after a day of sightseeing. The internet also seemed to work far better on the rooftop than in our hotel room, but maybe that was just my imagination. 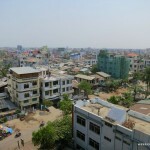 Speaking of internet, it was weaker than our Yangon hotel’s, but still useable. 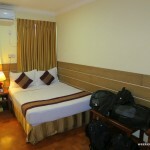 The hotel rooms were quite large and offered all the amenities needed for a pleasant stay – including coffee!! 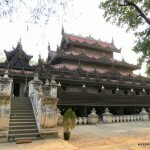 – and, its souvenir shop was vast, filled with jewelry, tapestries and wood carvings, and very reasonably priced. 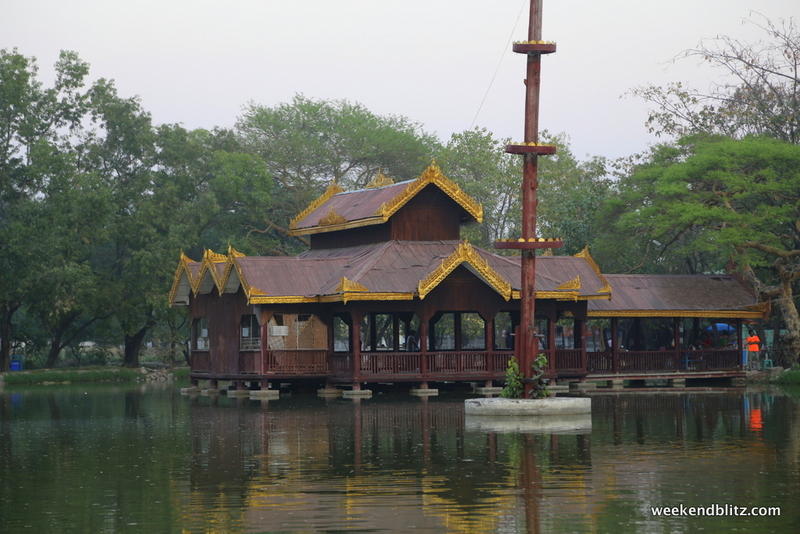 If you’re not looking for a resort experience but rather a place to lay your head in a good location, the Hotel Yadanarbon is a great choice. 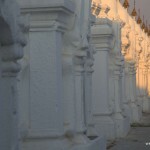 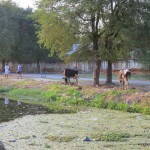 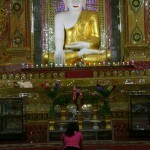 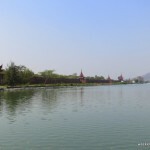 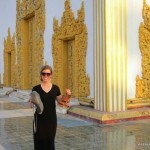 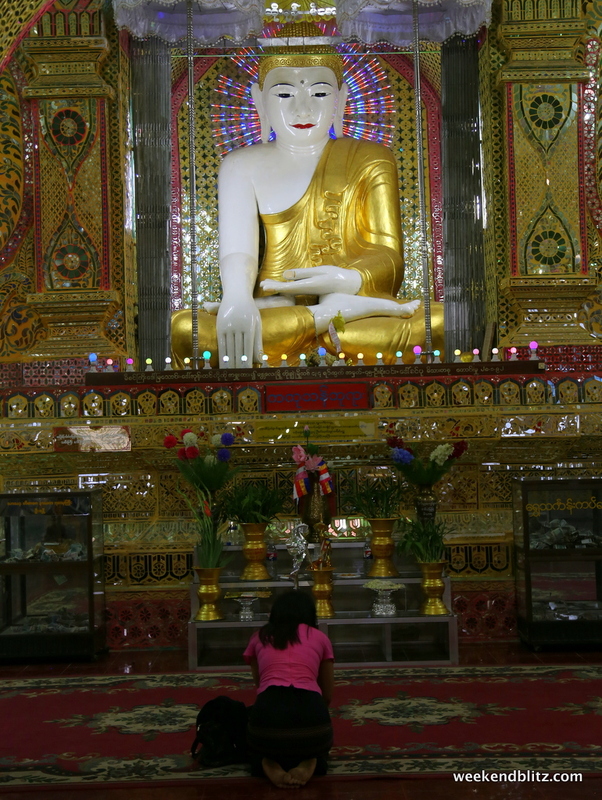 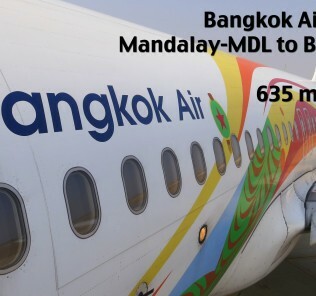 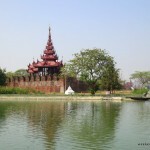 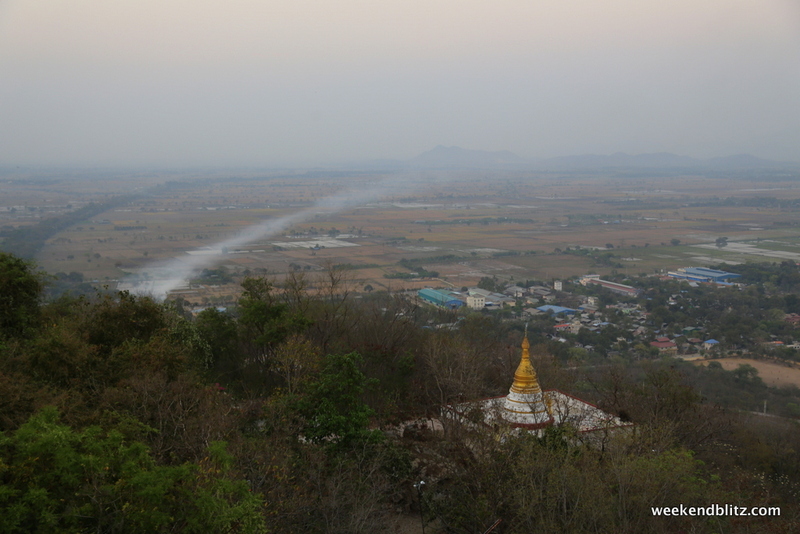 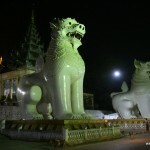 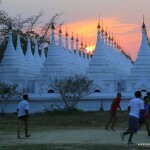 BOTTOM LINE: We really enjoyed our few days’ stay in Mandalay and would definitely visit again. 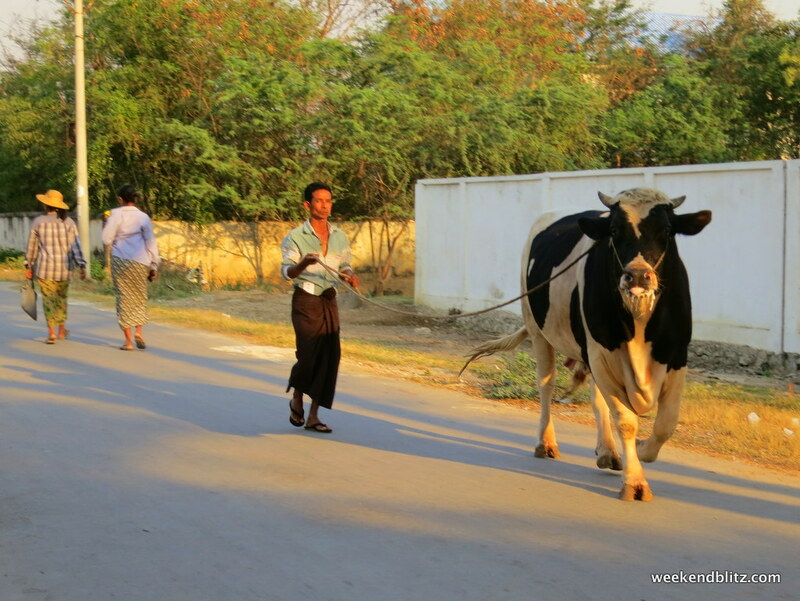 The city shows a different side of Burmese life that we didn’t experience anywhere else in the country (Yangon, like most countries’ largest cities, is too big to actually experience every day local life + Bagan and Inle Lake are way too commercialized/tourist-driven). 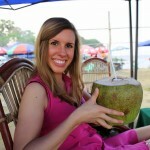 Enjoying a refreshing coconut juice with a beautiful view of U Bein Bridge!